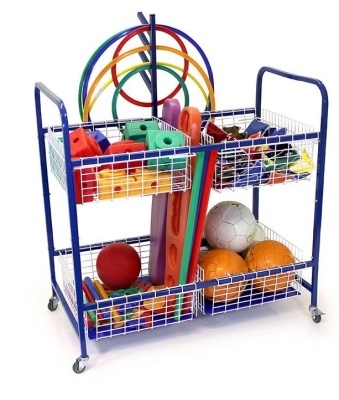 Plastic coated steel mobile equipment trolley is great for storing small play equipment, hops, canes, and balls etc. Includes four baskets and a hoop rack. Supplied empty and some assembly is required.